I love the look of the hatch.. but I'll reserve full judgement for a live viewing. The Fiesta ST only works because of a very aggressive yaw control program that makes 8/10ths feel great.. but it quickly falls apart if you're pushing beyond that. They're pretty sketchy over bumps. There's no way to make a torsion beam match a mutli-link for ride and handling. I don't buy the NVH argument.. not at all. The AWD version will probably still have multi-link. Sure hope the AWD variant has multi link rear, still can’t understand why the FWD doesn’t. Well, realistically I know it’s about cost savings. I wouldn't count on it. I would think they would have mentioned that a multi link is available. They even went out of their way to mention the torsion beam setup was used to reduce NVH. Also, the CX-3 has a torsion beam rear with AWD. Unless they are doing a Hyundai like the Kona gets multi link for AWD and torsion for FWD, but Hyundai mentioned the suspension difference. ^ my guess is aerodynamics on hatches. A gradual drop instead of a quick cut down should reduce drag? And that annoying always-dirty-rear-window problem hatches have. Kinda like how these fastback sedan/hatches are all the rage now. At least it doesn't have a floating roof design. Blacked out hatch spoiler makes it look more raked than it really is. It looks like it was shrink wrapped and it makes me want to wash it. I would like to see some glass there on the c pillar though. Not super happy about that c pillar either. I'd still buy it if they put a turbo in it, but I'd for sure get the electronic safety gizmos like blind spot detection and rear cross traffic alert. If they've figured a good way to add AWD to torsion beam already, that's what it'll get. The 3 hatch looks worse with every generation, imo. Of course I love the Civic hatch so it's all subjective! Both vehicles do have 4 wheels so I guess I can see it. That c pillar is hideous. hatch looks like a CUV. Such a shame, some of the past MS3's have looked great. "People like crossovers, we should make our hatchback look like a crossover" - Mazda, probably. It's cheaper to tack it on like they did. Everyone is starting to do that now because it's cheaper. The flip side is you are stuck with that headunit as long as you own the car. I hate that. Cars are becoming like phones, couple years, obsolete. Also, while we in the US may not be aware of the torsion beam in hatches, one of the top hot hatches in EU has one, the Megane RS. I mean, if GM can figure out how to make a Torsion beam & LRA work in an AWD system in the 80's I'm sure Mazda can figure it out 30ish years later. Some Advantages:wheel hop is minimized/goes away, it's easier to get the car to rotate/get the rear out under throttle, cheaper, takes up less space, lighter, stronger (fewer moving parts/universal joints). Some Disadvantages: worse ride, will not handle as well, not adjustable. For me; I'll pass - modern cars are prioritizing tech over the mechanical bits; it's a cost cutting measure plain and simple; they are selling a mechanically cheap car with tech for a relatively high price; essentially you're paying for the infotainment and nannies; the software. I'm sorry but torsion beam rear setup is a major downgrade. 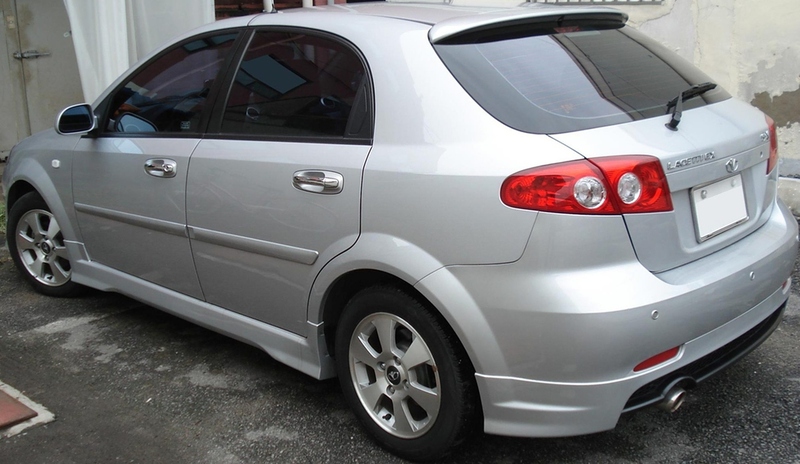 It's one thing when a car that nobody cares about or buys for it's dynamics like a Nissan Sentra utilizes it but Mazda isn't in a position it can sell junk cars like that. We ridiculed Ford for years for producing Mustangs with SRA for the same reason we should not give Mazda a pass for going back to a budget setup. That said the average commuter that doesn't care about dynamics will not likely notice providing they drive on well paved roads and the bonus is that these cars will likely have more trunk/hatch space than the outgoing models. 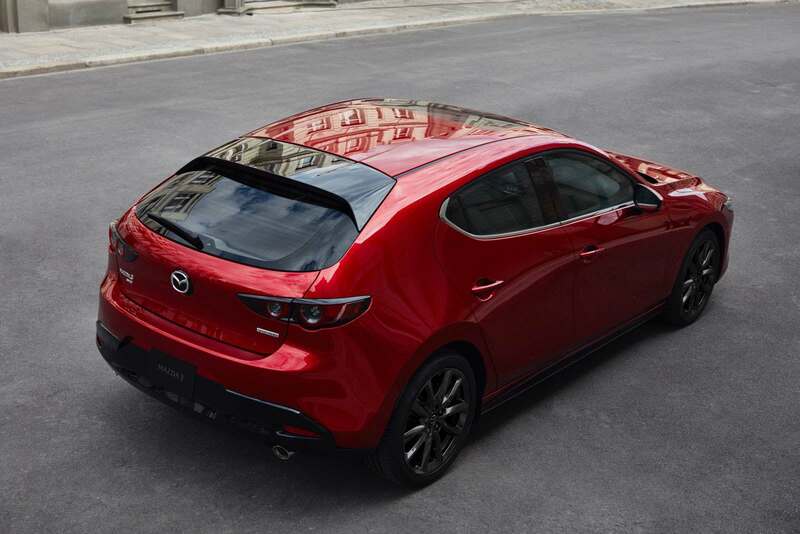 This probably also means that we are looking at another generation of the Mazda 3 without a performance variant. Mazda has to do what they thinks best I guess but to me it's always going to be a lower tech car compared to a Civic or even Impreza. Until tests are done to compare the new 3's torsion beam setup, I'll hold judgement. I'm sure we will hear plenty of analysis as almost every review has mentioned the suspension change. It's a downgrade, granted the CX-3 is still a great handler compared to its competitors, but it is a subcompact class where torsion beam is a norm. The thing is, the 3's many competitors (Civic, Golf, Focus, Impreza) are using multi link setups. Yes, many are still using torsion beam setups too but the Elantra (Sport), Veloster, Corolla (hatch) recently added multi link setups. I really hope Mazda offers AWD with MT and Skyactiv-X. I showed someone this pic and they said it looks like a finger nail that was cut back too far.